Arrive early to make use of the free range balls to warm up before your round. 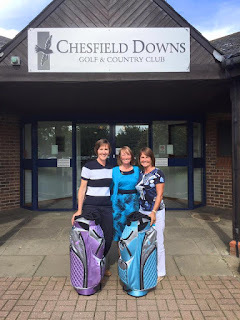 Thank you to Chesfield Downs Golf Club for providing these for us. Remember to check the Ladies notice board after Round 1 to find your tee time for Round 2. The Sign up sheet will be on the Social Notice board. With a 3 course meal, disco, magician and fun photo booth – it will be amazing!!! Don’t miss it!!! Ladies Away Day at Wyboston Lakes, Thursday 25th August – Look out for the Sign up sheet - available soon. 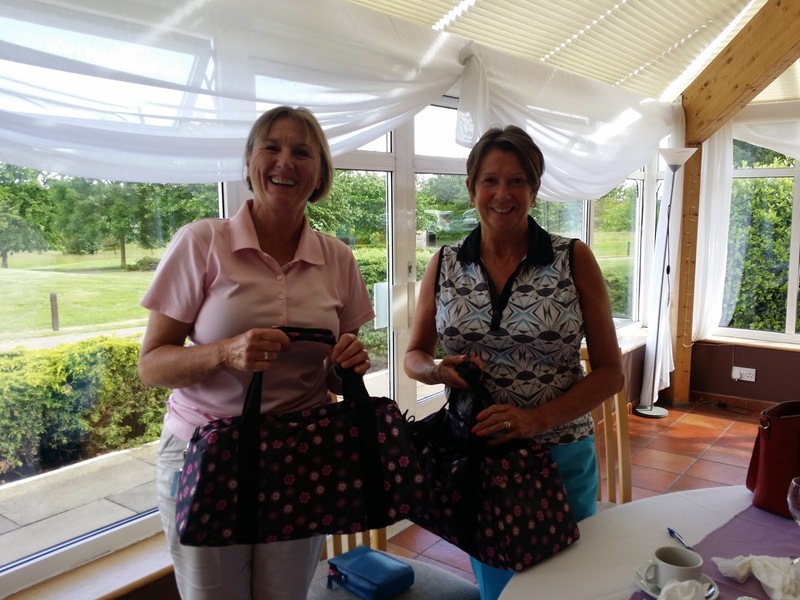 Tuesday – In sunshine and (heavy) showers our hardiest golfers played “Double the Odds”. Hazel Brunnen (our newest and very proud Grandmother) came 1st with an astonishing 55 points. In 2nd place with 52 points was Kathy Dale. A truly excellent day. Lots of fun and enjoyment for all our players. The weather was dry (thank goodness for the “sun dance” I did all week). The Halfway House was excellent (“the best anywhere” was the comment!). The Hampers and Silver Anniversary Draw prizes were outstanding. And over £3000 raised for the Garden House Hospice, Letchworth. Thank you to everyone who helped to make it such a successful day. Winners with 43 points were Patti Vincent and her partner Emma Dawson-Goody from Essendon Golf Club. We had 3 pairs all on 41 points, so on countback in 2nd place were Rogie Taylor & Kathy Morris, 3rd place Sally Weekes & and her guest Marion Parsley, 4th place was Chris Leary & Julia Goodwin. 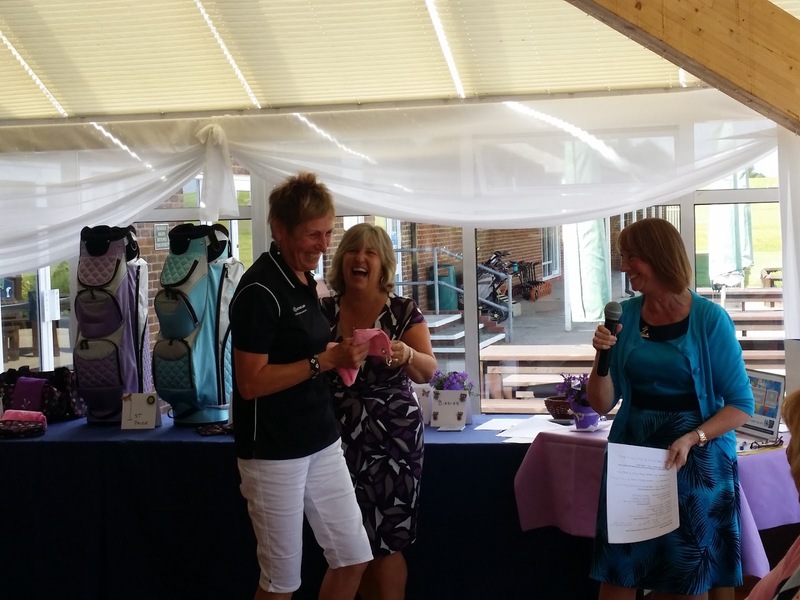 Longest Drive was achieved by Emma Dawson-Goody. Straightest Drive by Barbara Baldwin. Nearest the Pin in 2 on the 6th was Sarah Faircliff. Jean Ray won Nearest the Pin on the 3rd and Chris Leary won Nearest the Pin on the 17th. We welcomed back Pauline Harrison, now a member at Auckland Golf Club in New Zealand, who won Nearest the Pin (for guests) on the 12th. There are lots of photos on Facebook plus Virginia has added photos from the day onto our Ladies website. Click here to view them in our photo gallery – they are brilliant.